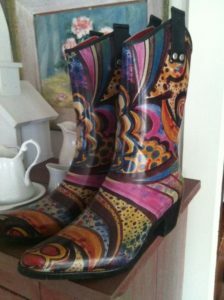 These are rubber rain boots! 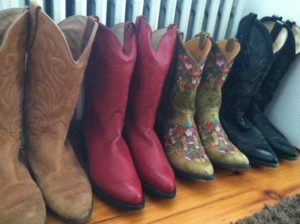 Most of my cowboy (or cowgirl, as my daughter, Andie insists) boots come from thrift stores. They’re already broken in, supple and forgiving, waiting for my feet to make them a new home. One of the new pairs, the green floral, were a Christmas gift from my husband. I’d been lusting after them for months, but they were wildly expensive and I’d never in a million years buy them for myself. 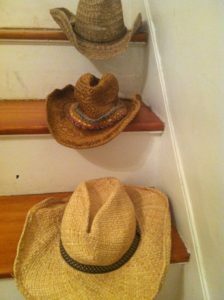 And then there are my hats. 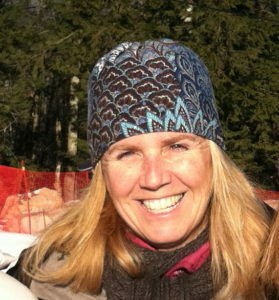 All summer I wear straw cowboy (cowgirl) hats and my head is rarely without a cap on once the first chill arrives in the fall air. 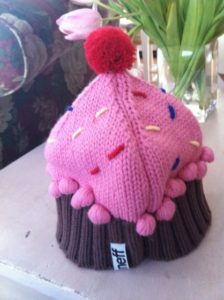 I bought a cupcake hat the other day and did a cupcake hat dance in the ski lodge. Andie threatened to immediately run away if I didn’t stop, but of course, once we arrived home, my cupcake hat was on her head! You can’t tell from the photo, but the hat is really sparkly and lined with cozy fleece! 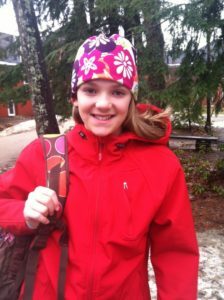 Up until now, I’ve given a vague answer about a friend whose friend makes them and brought some to a ski race. 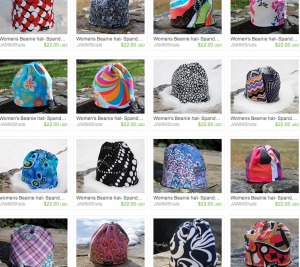 But after some digging, I’ve exchanged emails with the friend of the friend and when she learned I was going to mention her Jamms Hats in a post on my blog, she offered to give one away. Winner gets to choose the style and there are many from which to choose! So what do you think? Are you feeling the hat love? If so, leave a comment here and I’ll let you know on Feburary 14th (feeling more love!) if you’re the lucky winner chosen by Random.org. And if you’re not, you should just buy one anyway and then everyone will be asking you, “Where did you get that hat?” Once again, here’s the link to Jen’s site just in case you’re like me and can’t wait – Jamms Hats. 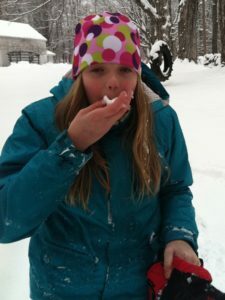 What about you – What are some of the things you love? 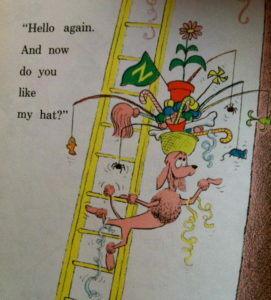 Courtesy of “Go Dog Go!” by Dr. Suess.